set in the 20-Year National Strategy,together with the recent amendment of the Investment Promotion Act 2017, promulgated by the BOI to attract more foreign direct investment into the Kingdom, are evidence of Thailand’s determination. However, notwithstanding this rapid growth, there is still a wide infrastructure gap that presents attractive investment opportunities for foreign companies. Several international firms have profited from diversifying their investment portfolios by allocating some of their time and resources in Public Private Partnership (PPP) projects, and progressively more private investors are on the lookout for new opportunities. Inasmuch as developing countries with stable political outlook present a higher internal rate of return than those offered by mature economies, an increasing number of PPP projects are attracting FDIs into the region. One of the many possible definitions for a Public Private Partnership is: A long-term contractual arrangement between a government entity and one or more private entities, whereby the resources, capabilities and core competencies of each party are combined with the aim of designing, financing, building and operating a facility for the use of the general public. PPPs are a means for governments to lighten their balance-sheet by obtaining funding from the private sector while deriving benefit from the latter’s technical knowledge and experience. 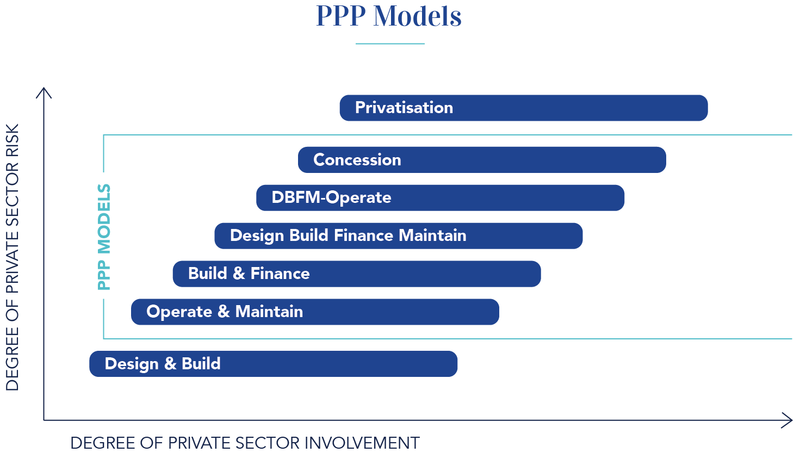 Compared with traditional public procurement, PPPs entail a greater role for the private sector, which bears some of the project risk but also expects a correspondingly higher profit margin based on performance. Public Private Partnerships are increasingly becoming a widespread method for financing diverse infrastructure projects globally. The contractual arrangements in a PPP structure allow governments to develop public sector assets, while avoiding large, upfront capital spending, by means of off-balance sheet financing. 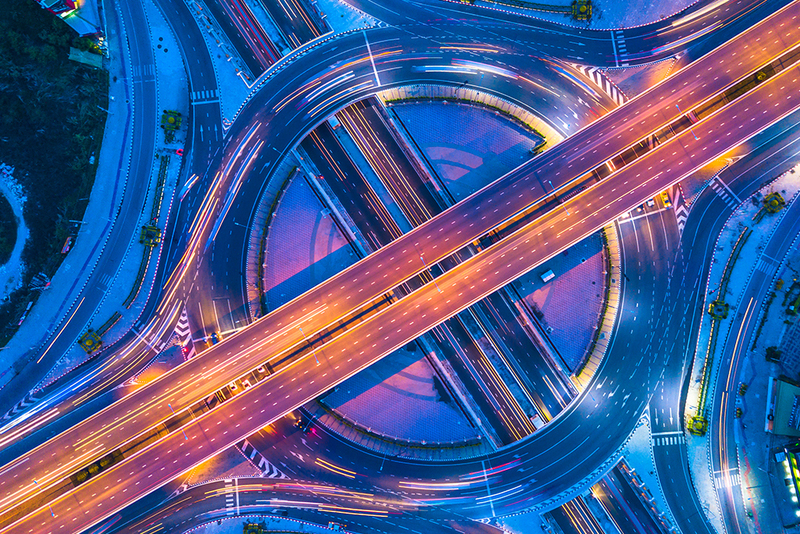 In recent years, a common trend has been for governments to implement, integrate or amend their PPP legislation so as to create environments where foreign direct investment would thrive. Long-term and stable revenues derived from PPP arrangements with sovereign bodies and have proven to be very appealing to large investors as well as to small and medium-sized financiers pooling funds into syndicated lending. Furthermore, well-structured PPP projects serve the purpose of creating new jobs and fostering sustainable economic growth, while aiding FDI companies to establish a foothold in the domestic economy, thus granting them the opportunity to seek more contracts and expand. Being one of the most developed ASEAN member states with an expanding economy, Thailand is reliant on its increasing infrastructure development to maintain its regional competitiveness. Many public-private partnerships, underpinned by a variety of project finance structures, have been executed in The Kingdom in past decades. The first Thai legislation on PPP dates back to 1992 with the Act on Private Participation in State Undertaking BE2535 (the PPSU Act), which was primarily enacted to prevent corruption in the awarding of tenders, which had previously been left to the unregulated discretion of individual government departments. The 1992 Act, however, lacked clarity in scope, procedural timing and any project valuation criteria. Nor did it provide clear provisions on arbitration, unsolicited projects and contract amendment. As the volume and size of PPP transactions gradually increased, a consequent upgrade of the legislative framework undergirding PPP investments, specifically formulated to attract foreign direct investment, was needed. Hence, the existing legislation was amended two decades later with the 2012 PPSU Act, which more thoroughly governs rights and duties of the public and private sectors. Among the main reforms of the new PPP law are the introduction of the Value for Money (VfM) principle, clear prerequisites for different types of PPP arrangements, the establishment of a Central PPP Unit, the creation of a Master Plan of Strategic Projects, the inclusion of a provision for presenting and evaluating unsolicited proposals for Strategic Projects, the creation of a project development fund (PDF) and, in general, more thorough and transparent procedures to streamline the PPP bidding process. Governments are increasingly promoting PPPs to attract foreign direct investment and procure financing by private lenders, thus obtaining off-balance-sheet financing, whereby lenders undertake part of the project risk but are rewarded with higher profit margins than for standard corporate lending transactions. In order to hedge or mitigate the risk associated with financing PPP projects, lenders may require the transaction to be structured with contingent mechanisms such as Stand-By Letters of Credit (SBLC)or Sovereign Guarantees (SG), which cover the lender should the main obligor default on their payment obligations. Additional Credit Enhancement can be achieved by way of first demand guarantees, such as performance bonds and advance payment bonds, which provide protection against non-performance of contractual obligations arising under EPC contracts.An incentive that some Governments use to attract capital is to issue sovereign guarantees in order to financially promote projects that are deemed to be in the public interest. If the SG is issued by a sovereign entity that is rated below investment grade, it is not uncommon for the guarantee to be further underpinned by Non-Honouring of Sovereign Financial Obligations (NHSFO), to achieve credit substitution, thus making the transaction viable from the lenders standpoint. Credit substitution is also achieved when a credit facility is backed by a first demand guarantee, such as an SBLC, whereby the credit quality of the transaction will primarily be based on the credit rating of the SBLC-issuing bank (and SBLC-confirming bank, if any) rather than on the credit rating of the underlying obligor. A number of conditions are to be met for credit substitution to be achieved in guarantee-backed debt finance transactions: (1) the language of the guarantee must clearly state that support from the bank is readily available to the lender upon default of the main obligor and that it is irrevocable and unconditional; (2) the available amount under the contingent financial obligation is sufficient to cover the principal and interest accrued under the loan contract; (3) the structural mechanism of the guarantee can ensure timely and full payment of principal and interest due to the lender upon default of the underlying obligor, and (4) the guarantee is legally enforceable. Commonly, transactions that are rated based upon the credit substitution approach are assigned a credit quality rating consistent with the creditworthiness of the guarantee issuer, which is generally higher than that of the underlying obligor. A number of multilaterals, bilateral agencies and export credit agencies, along with large consortiums of international private commercial banks have shown interest in funding and providing guarantees for PPP projects in ASEAN. Project finance transactions have been successfully completed in member states whose sovereign credit rating fell well below investment grade, thanks to political risk mitigation structures that have been implemented due to Multilaterals and private underwriters, issuing policies to cover against confiscation, expropriation and nationalization, timely issuance and renewal of permits for construction and operation, changes in laws, taxes and duties regime, force majeure events, as well as coverage against sovereign default on financial obligations arising under, for instance, an offtake agreement. The engagement of reputable investors and developers, international lenders and insurance providers have mobilized private capital in the region and helped in establishing a track record for future private projects. off-balance-sheet financing is also sought as it does not affect the credit of the government contracting authority. An SBLC constitutes a guarantee of payment issued, on behalf of a client, by a bank should the client fail to fulfill a contractual commitment with a third party, serving as a secondary payment mechanism. Therefore, a SBLC is a contingent liability much like a Bank Guarantee, with the main difference that the former requires its beneficiary to provide a demand notice to the issuing or confirming bank, in the event that the obligors fail to meet their financial obligations. As rated by reputable credit rating agencies. Credit Enhancement is sought for SG issued by sovereign entities whose credit rating is below investment grade or, depending on the lender’s risk appetite, below Prime or Upper Medium Grade.